The four-county area centered around Durham, where I live, along with Chapel Hill, North Carolina is possibly the most highly acclaimed in the nation when you take into the breadth of the accolades it has earned as an MSA and those of its individual cities. It also has the distinction of being the 20th MSA with the widest gap between rich and poor, according to the blog 24/7 Wall St. The wealthiest half of households earn more than half (53.5%) of all income earned here while the poorest 20% earn just 3%. The wealthiest 5% have one of the highest household incomes in the nation for that percentile. In the book I mentioned yesterday about the history of capital and related inequality, French economist Thomas Piketty notes that worldwide, the poorest half of the population still owns nothing, while the middle class now owns between a quarter and a third of total wealth. He continues to explain that “the wealthiest 10% now own two-thirds of what there is to own.” Apparently, it was even worse a century ago. Anyone interested in closing this gap needs to read Capital in the Twenty-First Century. It may not sound like a page-turner but it is. 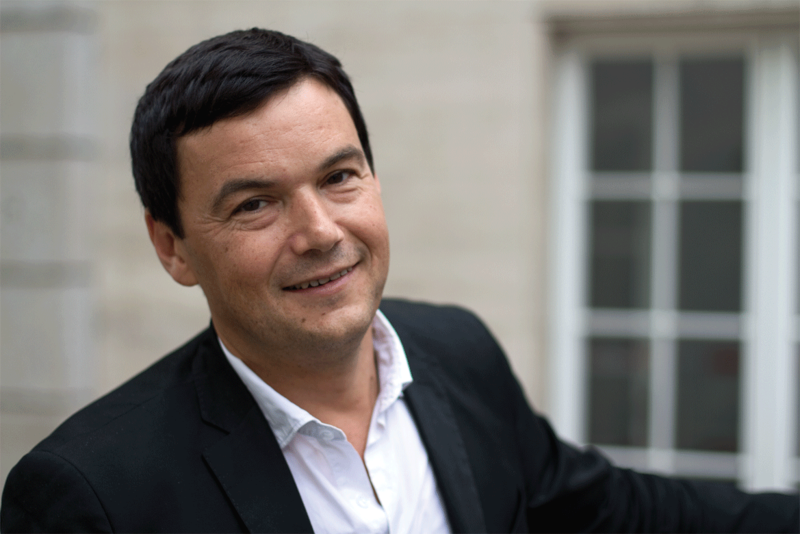 In a very easy to understand way, Dr. Piketty weaves historical events and data with paradigm shifts. In part, income equality is rooted in the shift from land to things like profits, dividends, interest, rents. I’ve written before that Durham’s poverty rate took root in the late 1940s and early 1950s when the number of jobs plateaued but the community continued its rapid growth, in large part, due to it historical role as a magnet for those looking for work. This was also a period when Durham economy began to rapidly transform from tobacco and textile manufacturing to education, research and development and high tech industries. Despite efforts to re-educate the workforce, many who had come here for blue collar work and failing to see the paradigm shift, merely went home and waited for the next call-back to the factories as they had done for generations during layoffs. Some have now become disconnected from society altogether while those who did shift gears found primarily low-wage jobs. By 1960, 1-in-3 Durham County residents lived in poverty as did 40% of North Carolinians overall. All the while, Durham’s economy skyrocketed but with jobs requiring far more education. While much lower now than in 1960 when the economic transformation took hold, poverty still haunts nearly one-in-five residents in the City of Durham. Overall, 30% said “personal failings,” including 17% of Blacks and 30% of Hispanics, as did 48% of Republicans and Conservatives as well as 41% of those with household incomes over $100,000. But 44% of Americans said “fewer opportunities,” including well more than half of minorities and those making under $40,000 as a household and including 36% of households making $100,000 plus, 28% of Conservatives and 23% of Republicans. Overall, 28% cited poor work ethic including 21% of Blacks and 33% of Hispanics as well as 49% of Republicans, 44% of Conservatives, 35% of those with household incomes over $100,000 and 24% of those making $40,000 or less. But 47% of Americans said it is because good jobs weren’t available including 33% of Conservatives, 21% of Republicans and 42% of households making over $100,000. When asked how some people became wealthy, 52% of Americans chalked it up to having more opportunities compared to 31% who believed they worked harder including 50% of Republicans but only 36% of Conservatives and 33% of those with incomes over $100,000. Nearly 60% of Republicans believe unemployed people could find jobs if they really wanted to, a view also held by 51% of Conservatives as well as 53% with incomes over $100,000 and 35% of those making less than $40,000. Interestingly a new study in Germany finds that more-trusting people on average have an increase in income over those who are cynical. No community that I know of is more determined or does more to eliminate poverty than Durham. Hopefully, this will be useful perspective, both macro and micro, for those on the front lines.